Every year on November 11, in celebrations both large and small, the nation comes together to thank veterans of all wars the United States has participated in. Veterans Day is one of the few instances where we can put our politics and ideology aside to acknowledge the sacrifices these men and women have made for their country. When we talk about sacrifices, what tends to come to mind for most people are long deployments away from family and friends. We also think about these soldiers who put their lives on the line day in and day out, while the rest of us fight among ourselves about why the wars are taking place and whether they’re even justified. Although many of us can speak about what we assume to be the horror they experience, for those who don’t know it firsthand — either as a vet or the loved one of a vet — we really don’t have a clue. Unfortunately for soldiers who’ve been in combat, among the ones who actually make it home, their sacrifices while they were on active duty were just beginning. For many, if not most of them, they will continue making sacrifices every day for the rest of their lives. The Department of Veterans Affairs estimates there were approximately 20.4 million veterans in the US in 2016. Repeated jumps from planes, falls, “wrong place, wrong time” situations, and many, many other scenarios leave our vets vision and hearing impaired, with blown-out knees, broken or missing digits and limbs, nerve damage, degenerative disc problems in their neck and back, and traumatic brain injuries. Some memories are too difficult to shake, and for many vets, those images replay ceaselessly in their minds, like an old movie: Different terrain, different day, maybe the same war, maybe not. But the beginning, middle and horrific end are always the same. The machine guns, the grenades, the explosions, seeing their buddy suddenly fall, unable to move, all take their toll and are added to that movie playing over and over inside their head. According to the Substance Abuse and Mental Health Services Administration (SAMHSA), 18.5 percent of returning vets from the Iraq and Afghanistan wars have post-traumatic stress disorder or depression. If this number seems low, the US Army claims that infantry personnel make up about 15 percent of the armed forces. SAMHSA estimates only 50 percent of returning vets will receive mental health treatment; those who don’t receive treatment risk turning to drugs and alcohol, going “off the grid,” or dying by suicide or overdose. Veterans returning home as changed people is nothing new. However, it wasn’t until the Vietnam War that we started understanding what war truly does to soldiers. And yet, despite what vets have been through and will continue to go through, we expect them to reintegrate with society and their families, and act like everything is normal. But nothing will ever be normal again for many of them. Stories abound about the trauma — both physical and psychological — vets experience during their time in the armed forces. We ask them to fight in our wars, and each year we honor them with a day that’s just for them, but then we unfairly expect too much of them. Unless you live with a veteran, you likely won’t understand where their pain comes from and what to do to help relieve their pain. I was one of those people. But it wasn’t until I interviewed two veterans and their spouses that I really got it. I have changed their names to respect their privacy. Several years ago, Anthony and Marie knew something was wrong, but neither could put their finger on it. An otherwise friendly and sweet person, Anthony could no longer handle crowds of people — in particular, strangers. He was angry all the time, and he didn’t know why. Sometimes he couldn’t control his anger. Although he was never violent toward Marie and their kids, his anger was scaring him and Marie. Situations that used to be normal now felt unfamiliar and caused him anxiety. Anthony wanted to believe that in time “it” would pass. However, he no longer felt like the person he had once been. While his anger scared him, not knowing where it was coming from and how to fix it scared him more. Like most men, he was reared to be strong for his family, so he certainly didn’t want to ask for help from the same family he was supposed to be strong for. The VA prescribed a cocktail of drugs to Anthony to alleviate his pain, depression, anxiety and insomnia, along with two additional pharmaceuticals for ulcers due to the combination of drugs he was prescribed. All of them have unpleasant side effects and some are addictive, so instead, Anthony smokes pot, which he buys black market on the street. While medical marijuana is legal in Puerto Rico, it is prohibitively expensive for a family of four with a mortgage and private school education for their kids. After serving 16 years working as a mechanic in the US Marines, where she did three tours in Iraq, Olivia was discharged in spring 2017. While in the Marines, Olivia jumped out of planes and, as a consequence, she’s had surgery on one knee and needs a full knee replacement to the other. As if that weren’t enough, Olivia was struggling with obvious signs of PTSD: anger, flashbacks, depression, insomnia and fatigue among them. Already 100-percent disabled in the eyes of the VA, in February 2018, Olivia was diagnosed with cancer. It took three long and stressful months, but by May she and her wife Jexi got the results of the biopsy. At first, Olivia was taking CBD oil alone while she and Jexi researched cannabis strains with specific cannabinoids that target tumors. She added strains with THC a couple of months ago, and her last blood test showed improvement of her tumor size. I asked Jexi why they didn’t opt for medical marijuana as soon as they received the diagnosis. “It is important to note that there are a lot of problems with the system,” Jexi tells me. “This includes the lack of access to natural treatment options, such as medical marijuana, but it also includes the lack of autonomy in making health care decisions. Forcing someone to go through months of chemo before they can qualify for potentially lifesaving clinical trials with less-destructive, allopathic drugs takes away our ability to make decisions about our own health. Another concern is the current administration’s war on weed, with its secret committee to “take down cannabis”. If Olivia and Jexi had opted for medical marijuana alone, they had no way of knowing whether they’d end up going down a road that could end abruptly just as their chosen medication was working. They ultimately decided to use medical marijuana to complement Olivia’s treatment. California is legal for both medicinal and recreational cannabis consumption, so obtaining legal weed isn’t a problem for Olivia and Jexi. As will PTSD, there are multiple symptoms associated with cancer: nausea, pain, anxiety, depression, insomnia, appetite loss and fatigue. What this can mean is that Olivia may end up using several strains to treat all her cancer-related symptoms. And because California allows its residents aged 21 and older to grow their own, once Olivia hits on strains that work for her, she and Jexi can legally cultivate their own medicine. According to the National Institute of Drug Abuse, 30 percent of those who consume cannabis may have some degree of marijuana use disorder, which is described as problem use in the form of addiction in severe cases. Conversely, the Department of Health and Human Services concedes the US is currently in the grips of an opioid epidemic. 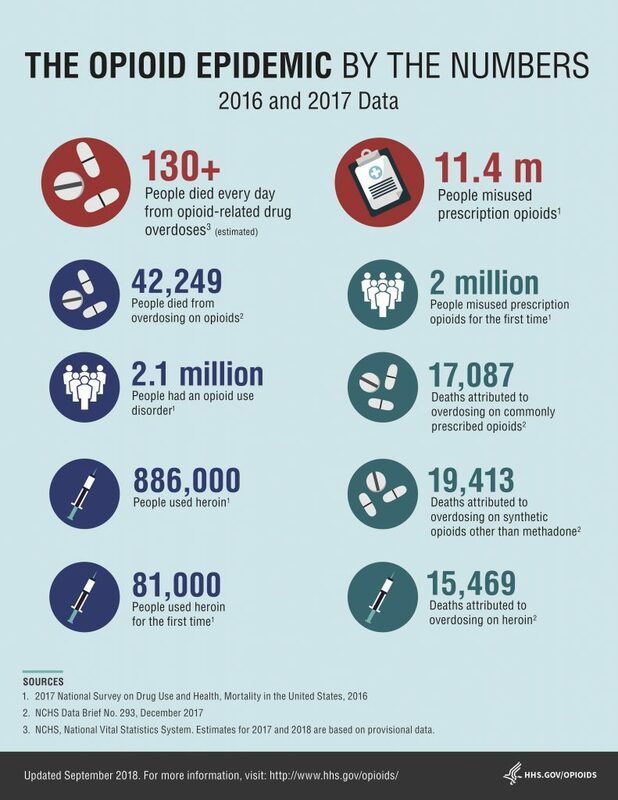 Between 2016 and 2017, more than 42,000 people died from opioid abuse; 2.1 million Americans have an opioid use disorder; and almost 15,500 deaths can be attributed to heroin overdose. While the Drug Enforcement Administration reports that “no deaths from overdose of marijuana have been reported,” it would seem that despite the potential for marijuana use disorder, it is certainly a much lesser of two evils in comparison to opioids and heroin. Cannabis flower can be smoked in a joint, but if you don’t like the smell, you can consume weed in a vaporizer. You can also vape or dab wax. You can vape oil or use it sublingually. There are all sorts of edibles, medibles and drinkables in the form of gummies, cookies, honey, chocolates, muffins, brownies and sodas, as well as full-on meals like lasagna, burritos, soups — getting the idea? Do You Have To Get High To Experience The Medicinal Benefits Of Cannabis? Probably the biggest confusion people have about medical marijuana is understanding the difference between it and recreational cannabis. Many folks have figured out what medicinal properties exist in the estimated 840 strains of cannabis. New strains and blends are being developed all the time that take the best of one, two or more existing strains, thus creating a hybrid. Hybrids can be sativa-dominant, indica-dominant or an even split. Often (but not always), sativa-dominant strains have higher amounts of CBD than psychoactive THC that is likely to give the consumer that high feeling. If you suffer from insomnia, which is a common side effect of PTSD, getting a strain that will help you sleep and stay asleep will probably also get you high. However, unlike prescription sleep aid Ambien, there’s no risk of sleepwalking, increased risk of developing cancer, Alzheimer’s disease and, according to a study published by BMJ Open Journal, an increased risk of death. Of the 33 states, plus Washington, DC, and two US territories (Guam and Puerto Rico) that have legalized medical marijuana, 28 states have approved PTSD as a qualifying condition. All that’s required to qualify for veterans is a DD Form 214, also known a Report of Separation. Nearly every state and territory where medical marijuana is legal has approved cannabis consumption for cancer, anxiety and depression. And all states, as well as Puerto Rico and Guam, have approved it for pain. 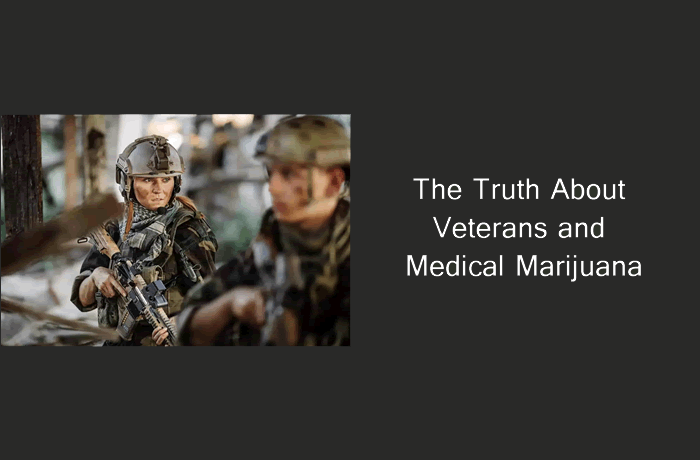 Because cannabis is still federally illegal and classed as a Schedule I drug with no currently accepted medical use and a high potential for abuse, the VA, which is a federal agency, won’t promote or recommend medical marijuana to treat anything, whether that’s pain, PTSD, cancer or traumatic brain injury. However, veterans will not be denied VA benefits because of marijuana use. Cannabis is nothing new. According to the National Institutes of Health, there is evidence to suggest marijuana has been used not only to get high, but to also treat myriad illnesses for around 5,000 years. It may seem from the controversy that pot is new. As to whether a higher spirit approves of its use, well, nobody knows for sure, but I can say that the benevolent God you believe in doesn’t want you to suffer. In fiscal year 2017, the NIH supported 330 projects totaling almost $140 million on cannabinoid research. Within this investment, 70 projects ($36 million) examined therapeutic properties of cannabinoids, and 26 projects ($15 million) focused on CBD. Cannabinoid research is supported broadly across NIH Institutes and Centers (ICs), with each IC supporting research specifically focused on the impact of cannabinoids on health effects within their scientific mission. So, before deciding whether medical marijuana is right for you, you should look at both sides of the coin carefully to make an informed decision. Only you know your body and your mind. Your primary care physician may or may not advocate for cannabis, but this doesn’t mean it’s a bad choice. Your doctor may be one of the many who still believes cannabis to be harmful to your health. There is nothing wrong with getting a second medical opinion. Remember, cannabis is a plant. It is natural and naturally it contains therapeutic properties that can help you with many of the problems you’re struggling with. Please note the information provided within this article is not intended as a substitute for professional medical advice, diagnosis or treatment. Always seek the advice of your physician or qualified health care provider regarding your medical condition. Happy Veterans Day, and thank you for your service and the sacrifices you continue to make.